How on earth can it be September already? Not that I’m complaining though as this is one of my favourite times of the year because, as much as I love the Summer Holidays, I get to a point about three weeks in where I start to miss the general routine that having the kids at school brings. I’m also excited for the return of the slow cooker and the soup maker this year as we’ve hardly used either of them this Summer thanks to the heatwave we’ve had – really, who wants to eat casseroles and stews when it’s so hot outside? I’m starting as I mean to go on today and currently have some pork shoulder cooking away in the slow cooker. We have apple sauce and homemade potato wedges to go with it. 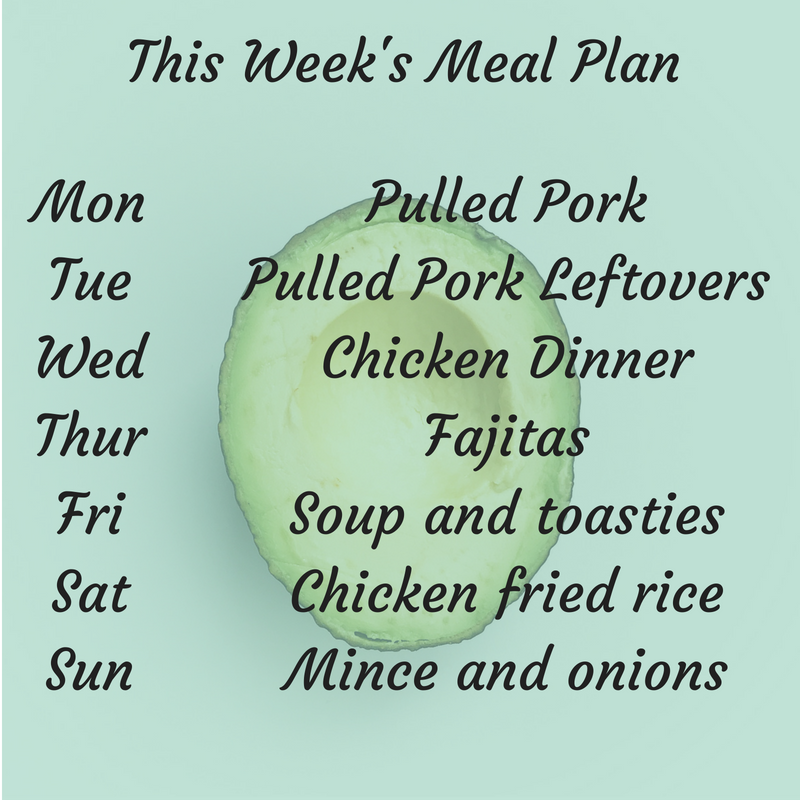 We always have loads of pulled pork leftovers so we’ll try and make something yummy with it – maybe homemade pizza with that as the topping? Chicken with veg and Yorkshire puds is on the menu for Wednesday and I might even cook the chicken in the slow cooker so I can make some homemade chicken stock! This one is so easy to cook that my teenager can cook it so Thursday night she’s in charge! One of our favourite comfort food easy meals! Easy peasy tea for Saturday using chicken from the freezer and some frozen peas. I love this on a cold day so although I shouldn’t be, I’m almost hoping for a bit of a grey day next Sunday! #WhatsForTeaTonight – Mussels and crusty bread…. Next Post Three ways to speed up your meal prep….